I am so excited to come to Las Vegas for my upcoming talk, dessert reception, and book signing on July 21st at the JCC of Southern Nevada. For reservations/information on this kick-off event, contact Elizabeth Bricker at 702-794-0090 or email Elizabeth at ebricker@jccsn.org or register here. 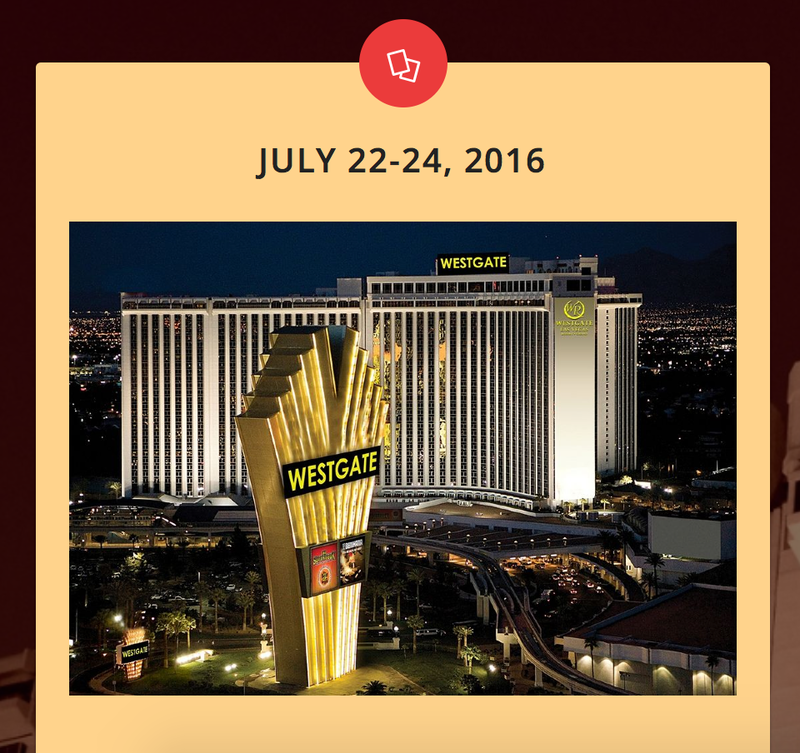 This is the kick-off event for the exciting 2016 World Championship Mah Jongg Tournament being held at the Westgate Hotel in Las Vegas from July 22nd – July 24th. 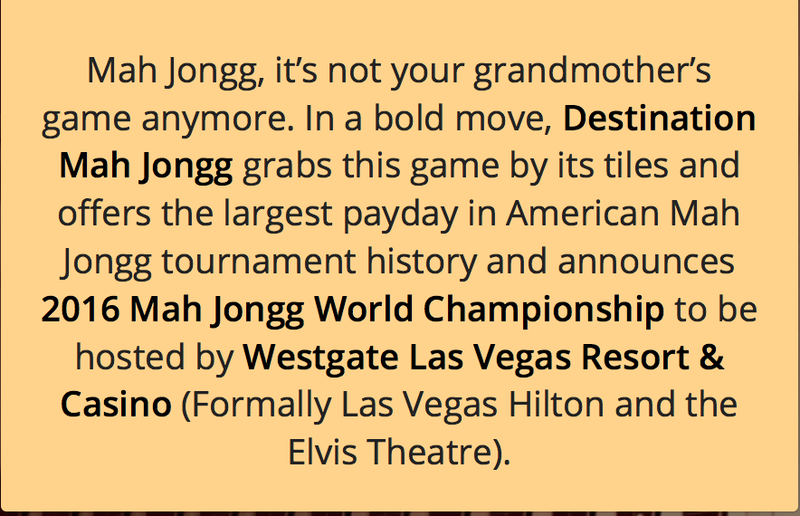 The pre-event publicity has been wonderful and I hope all of you coming to the Mah Jongg World Championship will arrive on July 21st and join me at the “J” at 4:30pm. 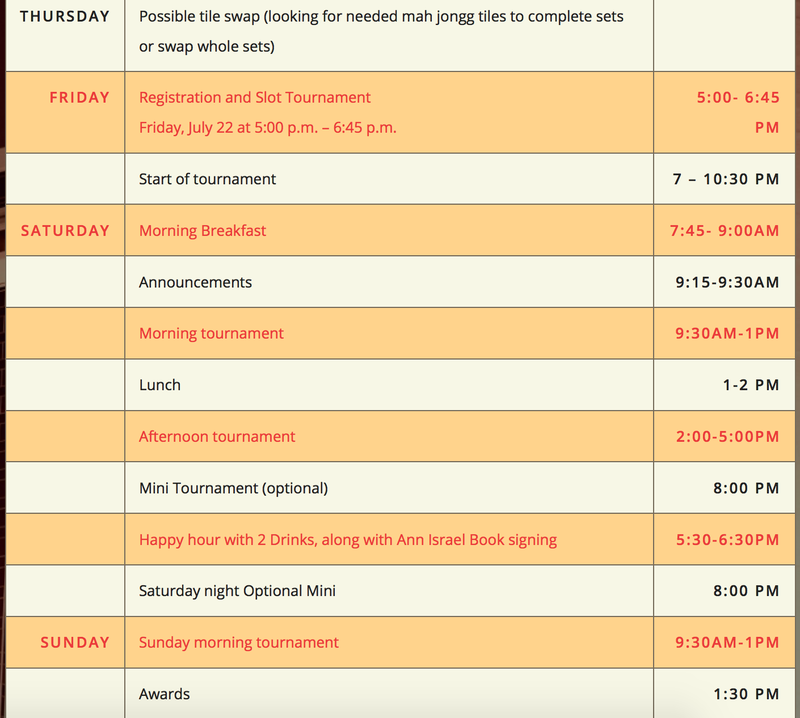 The World Championship Tournament – where champions come to play – will be held on July 22-24, 2016 and will offer the largest prize purse in American Mah Jongg history with a minimum of $5,000 first place prize…don’t miss this opportunity to take part in Mah Jongg history! 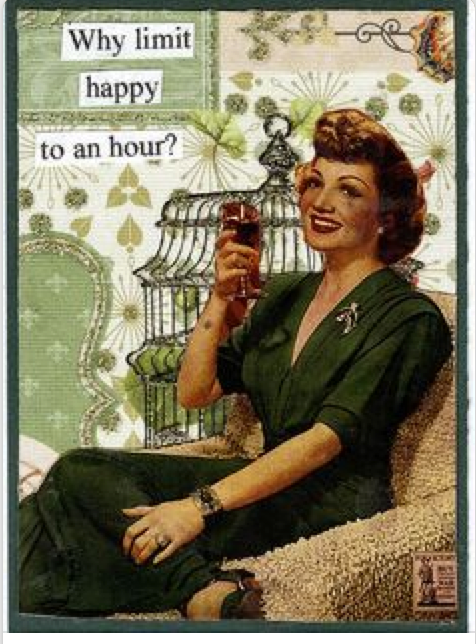 And, on Saturday, July 23rd, enjoy the tournament’s Happy Hour from 5:30 – 6:30pm, which will offer 2 drinks per person and where I will be signing the book, Mah Jongg: The Art of the Game from 5:30 – 6:30pm. 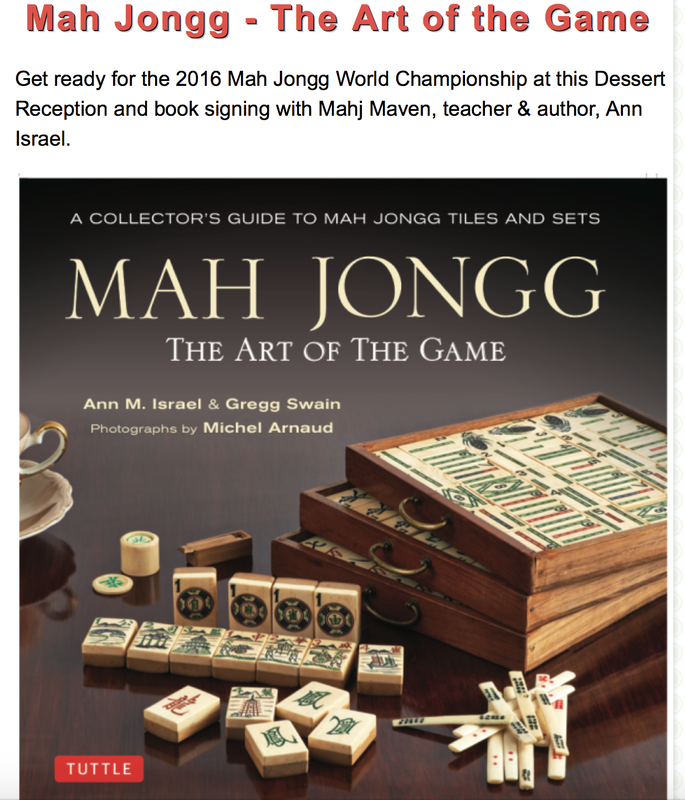 This entry was posted in Mah Jongg and Me and tagged Ann Israel, dessert reception, Happy Hour, JCC of Southern Nevada, mah jongg, mahjong, maven, The Art of the Game, World Championship on June 24, 2016 by Mah Jongg and Me. THANK YOU TO THE JCC! WOW! 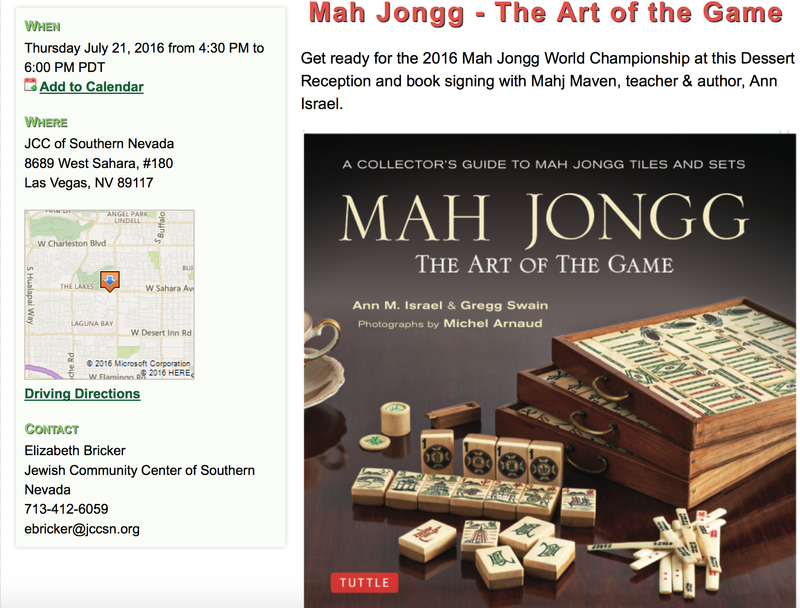 The JCC of Southern Nevada is going all-out for my talk on Thursday, July 21st, followed by the next three days for the exciting World Championship of Mah Jongg sponsored by Destination Mah Jongg and the JCC of Southern Nevada – hope you will be there!!! Click here to register for only for the reception. Click here to register for the reception and the World Championship. 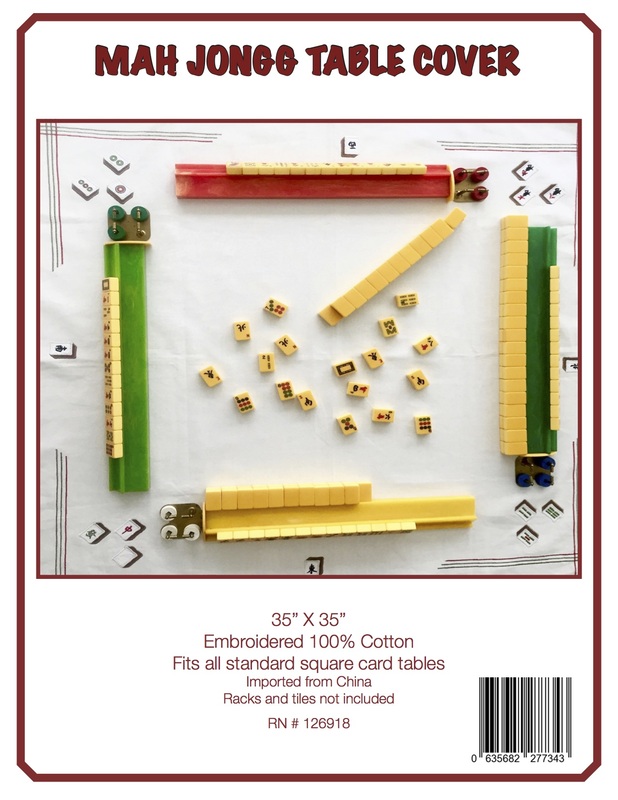 This entry was posted in Mah Jongg and Me and tagged Destination Mah Jongg world championship, JCC of Southern Nevada, mah jongg, Mah Jongg: The Art of the Game, mahjong on May 15, 2016 by Mah Jongg and Me. 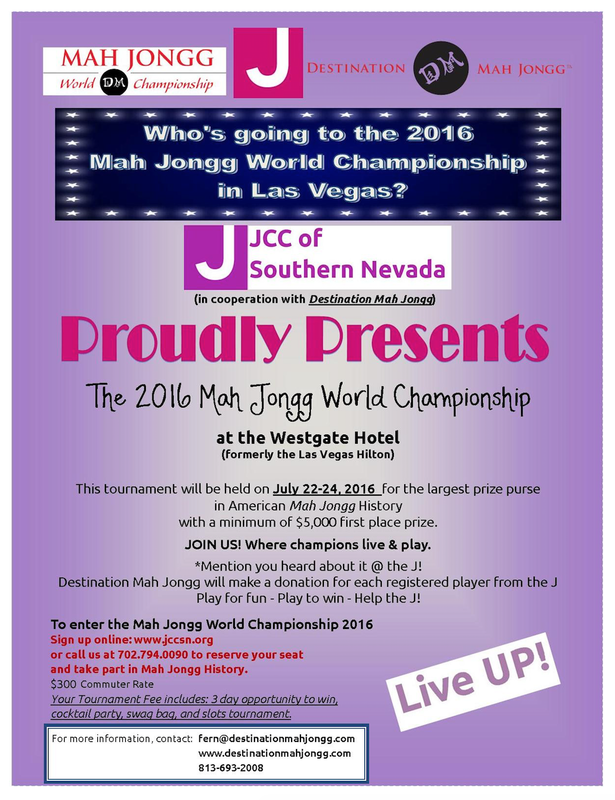 The JCC of Southern Nevada – proudly known as the “J” – is doing a great job promoting the Mah Jongg World Championship in Las Vegas taking place from July 22 – 24, 2016. The J will receive a donation for anyone who registers for this great tournament through their website (information below) or by phoning them directly at 702.794.0090. Here’s an opportunity to do good while getting ready to have fun! BTW, anyone who signs up for the Mah Jongg World Championship before March 31st will have their name entered to win a pair of tickets for the incredible Cirque du Soleil in Las Vegas!!! And, for those of you who will be at the World Championship, make sure you get to Las Vegas by July 21st as I will be speaking that day at the J around 4 PM – I hope to see you all there! 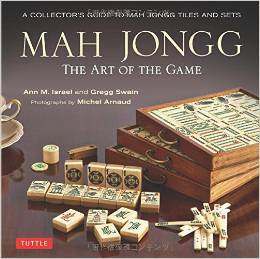 This entry was posted in Mah Jongg and Me and tagged Cirque du Soleil, Destination Mah Jongg world championship, JCC of Southern Nevada, Las Vegas, mah jongg, mahjong, the J on March 12, 2016 by Mah Jongg and Me.